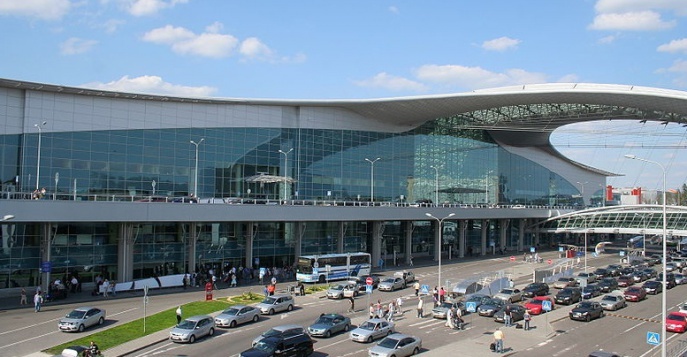 There are several airports that serve as entry points to Russia or as transit facilities for those passing through; BigTimeMoscow will be analyzing each of them including Sheremetyevo . Many people spend hours waiting in airports for their flights to Canada, China, India and other countries, the majority of whom can’t wait to leave the airport as fast as possible. Only a handful of people are well informed about the services the airports actually offer. This year, Sheremetyevo Airport was awarded as “The Best Russian Airport” by Tripadvisor Travelers’ Choice. In the last few years the whole airport has undergone significant renovations. Many foreigners choose this airport as their stopover point before their next flight, and have the opportunity to experience the difference firsthand. -ATMs are available in every terminal. Strollers and luggage trolleys are available free of charge. -There are five terminals in the airport, not including the rail terminal. The D, E and F Terminals are connected by walkways. For further information please see: http://svo.aero/en/transport/. Shuttles connect from here to the further terminals. -There is a list of services which are always free, including transportation for passengers with reduced mobility. It is best to arrange these services in advance, by completing the short application available here: http://svo.aero/en/special-services/form/. There is a dedicated leisure hall for passengers with special needs in Terminal D.
-Wi-Fi is free of charge, though the speed slows down considerably when the place is crowded. -There are seven food and beverage corners, and showers are available in Terminal D (though many people are still reluctant to use them). -One of the notable updates the airport now offers its visitors is the luggage taxi service, which operates around the clock. The price is determined by weight. It starts at 850 rubles. You can order this type of taxi at the Lost Property Office ( it sounds strange but yeah). -Lost items can be located at the Lost Property Office in Terminal E (1st floor arrivals hall) and in Terminal C (3rd floor, room 3.73). 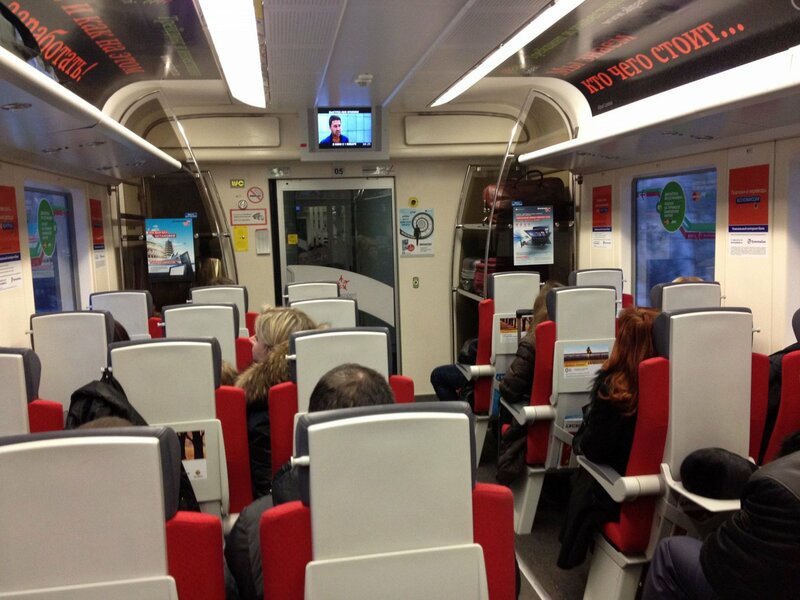 -Passengers can use the Skype internet video-calling service to check in, by calling: ‘svo_checkin’ and following the officer’s instructions. During the check-in, passengers will be asked to show their passports and to give the officer the date of their flight and the number of their e-ticket. -Car rentals are available in Terminal D. Please note that you are not guaranteed to get a cab if you deal with online taxi services. 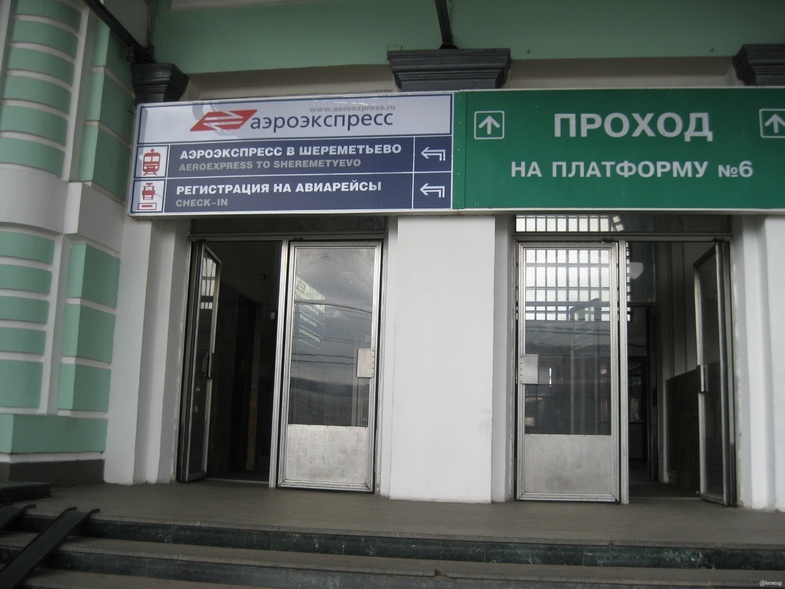 High-speed trains depart from the airport to Belorussky Railway Station every 20 to 30 minutes, and travel time is between 30 and 40 minutes. 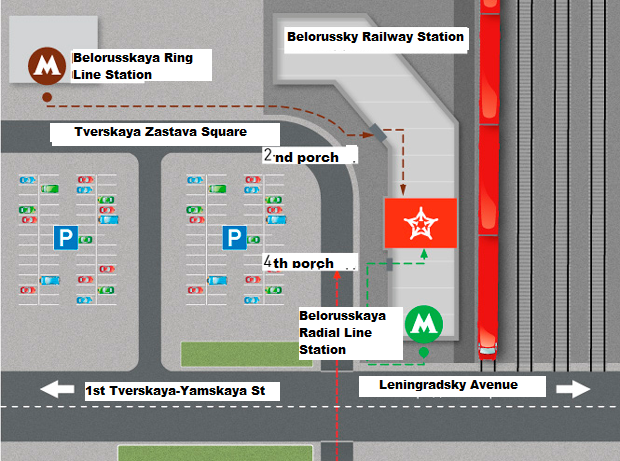 The schedule is available at this link: https://www.aeroexpress.ru/en/sheremetyevo/timetable.html. In our opinion these trains are the best option for travelers. Tickets can be purchased online or bought at the railway station via an automated system (where cash will be safer). Descend the stairs into the Belorussky Railway Station tunnel, which is in walking distance of the subway station of the same name. 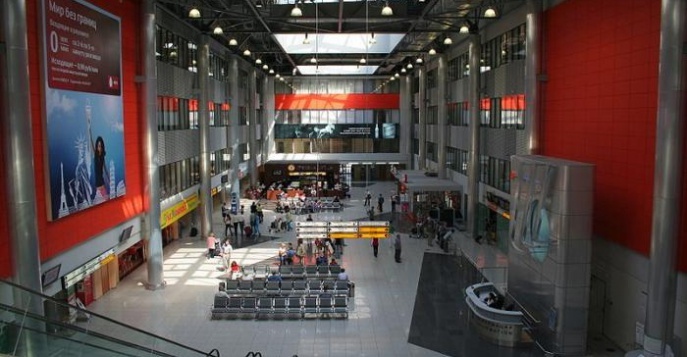 The 2nd and 4th Railway Station porches lead to the inner aeroexpress terminal. P.S. These days, Sheremetyevo attracts not only passengers, but also sophisticated Muscovites interested in immersing themselves in cultural activities. This summer it has launched its own interactive library.